Authorities arrested at least four people suspected of driving while intoxicated in East Baton Rouge Parish and booked them into Parish Prison between noon Tuesday and noon Wednesday, booking records show. Teresa Price, 31, 10902 Airline Highway, Baton Rouge, second-offense DWI, hit and run, reckless operation and simple assault. Shantell Rogers, 29, 2712 Lupine Ave., Baton Rouge, first-offense DWI and driving too slowly. Donald Ferguson, 26, 7353 Antioch Road, Baton Rouge, first-offense DWI, failure to maintain control, failure to report accident, obstruction of public highway and expired registration. Albert Smith, 73, 2040 75th Street, Baton Rouge, first-offense DWI, reckless operation and drinking in a motor vehicle. Compiled from staff reports. To talk to a crime reporter at The Advocate, call (225) 388-0369. MARKSVILLE — A chase dead-ending Tuesday night at a shuttered state park in Marksville ended in the death of a 6-year-old boy after deputy city marshals opened fire on the car his father had been driving. The boy, identified as Jeremy David Mardis, was shot multiple times in the head and torso and pronounced dead at the scene, the Avoyelles Parish coroner, Dr. Lovell L.J. Mayeaux Jr., said Wednesday. Jeremy was a first-grader at Lafargue Elementary School in the nearby central Louisiana town of Effie. The boy’s father, 25-year-old Chris Few, also was shot multiple times. He was airlifted to Rapides Regional Medical Center in Alexandria, where he was listed in stable condition. Mayeaux said the boy was in the vehicle when he was shot and it appears that all the shots came from outside and through the driver’s side of the vehicle. The coroner said the investigation is ongoing, but the “working theory” is that all the shots were fired by city marshals. Jeremy was sitting in the front passenger seat of the vehicle when he was shot, Mayeaux said. Few, with his son in tow, had led the marshals on a chase through Marksville shortly before 9:30 p.m. Tuesday, speeding down Martin Luther King Drive in the town before being pinned in by at least two patrol cars at a two-way intersection in front of the gates of the closed Marksville State Historical Site, a now-closed state park that features a number of Indian mounds. What exactly prompted the chase and then the shooting remains unclear, but The Town Talk in Alexandria reported that Few threw his truck into reverse and tried to run his car into one of the marshal’s vehicles. Two nearby residents said they heard rapid gunfire shortly after police sirens raced down the street. One resident estimated he heard “six or seven” gunshots, while another said he counted at least 10. Trooper Daniel “Scott” Moreau, a State Police spokesman, confirmed that the marshals “discharged their duty weapons” but couldn’t say how many rounds had been fired. Spray-painted markings on the street show the location of four vehicles at the site of the shooting. On the driver’s side of one of the markings, at least 17 painted spots possibly show where shell casings or other evidence was recovered. Moreau said it wasn’t yet clear if there was a weapon inside Few’s car or if anyone besides the ward marshals had fired during the confrontation. Moreau said investigators from State Police’s Alexandria field office had received initial statements from the marshals involved in the shooting but hadn’t yet interviewed any of those involved. Moreau said the investigation was “still in its infancy” but he wouldn’t be able to say whether the marshals had fired the deadly shots until after ballistics tests and a final autopsy report have been completed. At TJ’s Lounge, a bar and service station in Marksville, a bartender and patrons said that Few — a familiar face there since relocating from Mississippi about a year ago — had been hanging out there earlier Tuesday, playing pool with a girlfriend before leaving about 9 p.m., less than a half-hour before the fatal shooting. None were sure whether Jeremy had been waiting in the car or if Few picked him up later. “It just blows my mind that all this happened,” one said, referring to Few as a friendly, low-key guy. “He was always smiling always happy,” Few told WAFB. Marksville Police Chief Elster Smith Jr. could not be reached for comment Wednesday, as he spent the entire day on the scene of another major — though entirely unrelated — emergency in the small city of 5,700 that is also the parish seat. According to Avoyelles Today, 32-year-old Will Ray Lachney took a shotgun from a hunter in the nearby woods, fired it in the air after being confronted by a passing police officer, and barricaded himself inside his mother’s apartment, about a mile or less from the scene of Tuesday night’s shooting. During Wednesday’s standoff, a Marksville police officer accidentally shot Lachney’s mother in the arm. The woman had gone into the apartment to talk her son into surrendering before ending up in a struggle with her son over the shotgun, the newspaper reported. Marksville’s Ward 2 marshal, Floyd Voinche Sr., also could not be reached Wednesday. The elected position, similar to a constable, is a certified law enforcement officer with jurisdiction in the town but is primarily tasked — along with a number of deputies — with serving court documents, including warrants and civil suits. The deputy marshals involved in Tuesday night’s shooting were off-duty Marksville police officers who were working extra duty for the Ward 2 Marshal’s Office. Smith, the Marksville police chief, told Avoyelles Today he will meet with the city attorney before deciding what action, if any, would be taken with the officers, who were not identified. An autopsy on Jeremy was performed Wednesday afternoon. Mayeaux said initial results were turned over to the Louisiana State Police, who are investigating the shooting, but the findings will not be made public at this time. Blaine Dauzat, superintendent of the Avoyelles Parish school district, said grief counselors were sent to Lafargue Elementary School on Wednesday to help comfort Jeremy’s classmates and teachers. Something to consider the next time you decide to take a drive to the city. If you’ve ever had a few drinks then hopped in your car to drive home, you may want to think twice about it. New Orleans police are training more officers how to spot drivers who are under the influence in an effort to reduce the high number of alcohol-related fatalities. During a three-day training course, the police department employed the help of volunteers, providing a group with alcohol starting at 11 a.m. Wednesday. By 3 p.m., one woman had a blood alcohol level over .10. The legal limit in Louisiana is .08 . Had this been a real field sobriety test, she’d be going to jail. 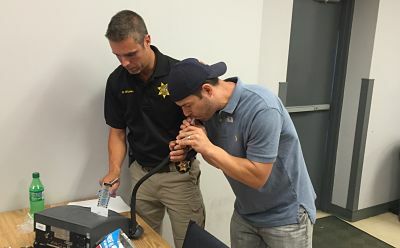 Not all New Orleans police officers are trained on how to spot an impaired driver who may not be exhibiting the most obvious signs, which is why the training class is held about once a year. The department figures the best way to learn is with real life guinea pigs. “We document and we measure every ounce of alcohol consumed by them,” Micheu explained. Then the volunteers are put through a mock field sobriety test. The 24 officers in training are guided by their superiors as they execute a walk and turn test, the “horizontal gaze nystagmus” and others. The National Safety Council tracks the numbers. Inbau says the average across the country for fatalities blamed on drugs and alcohol is 35 to 40 percent. In Louisiana, that number stands at 44 percent. Inbau applauds the NOPD’s efforts to reduce the figure, saying increased visibility and education are key. The officers who graduated from the training class this week are participating in a DUI checkpoint Wednesday night. The area with the highest number of alcohol-related crashes in Louisiana is Calcasieu Parish. A grand jury on September 30 indicted a Lafayette woman on a second-degree murder charge in the death of her newborn baby, whose corpse was discovered 14 years later inside a storage unit. Police arrested Rebecca Landry, 57, in June after a renter discovered the corpse inside Landry’s storage unit, which was auctioned off after the bill went unpaid. She’s since been released on a $125,000 bond while awaiting trial. Landry said she was suffering from alcoholism in late 2001 when she gave birth at home and in secret, police have said. When the baby died a few days later, she hid the infant in a cardboard box filled with women’s clothing and stowed it in a closet, later moving it to the storage unit. If convicted, Landry faces life in prison. Baton Rouge drivers are often trapped in bumper-to-bumper traffic, but that hasn’t made carpooling an attractive alternative for the vast majority of commuters. The Capital Region Planning Commission would like to see that change, not only to help relieve the Baton Rouge area’s oppressive traffic congestion, but also to reduce a source of pollutants that contribute to the formation of ozone. With the U.S. Environmental Protection Agency set to come out with tougher ozone air pollution standards soon, getting more cars off the road can only help the Baton Rouge five-parish area meet whatever new standard is announced. The commission, along with other partners, will unveil this month a new Web-basedcarpooling site to match commuters who have similar schedules, interests and workplaces. Signup is free, and information will be kept secure until an individual wants to share something with a potential fellow carpooler. A public information kickoff for the program will be held from 11 a.m. to 2 p.m. on Sept. 16 at Town Square along North Boulevard in downtown Baton Rouge. There will be information about the program, along with a free jambalaya lunch on a first-come, first-served basis. If it rains, the event will be held at the state Department of Environmental Quality in the Oliver Pollock Room, 602 N. 5th St.
A soft launch of the Geaux Ride website was released about a month ago for employees of several state agencies, including DEQ, the Department of Natural Resources and the Department of Transportation and Development, since they all have a large presence downtown, said Jamie Setze, Capital Region Planning Commission executive director. So far, about 150 people have signed up, but not many have logged their carpooling trips so it’s hard to say how often it’s been used, explained Ravi Ponnapureddy, commission’s director of transportation. Other cities that have had success with carpooling programs have offered small incentives that reward the highest number of miles, or most trips taken, with rewards like free coffee or better parking spots. It not only encourages participation, but it also gets people to fill out the trip information on the website, vital data for state planners to figure out what’s working. In cities where the program hasn’t taken off, experts attribute part of the problem to a lack of marketing and incentives offered to get people to change their driving habits. The Baton Rouge program is trying to be proactive in promoting the program. “The next step we’re working on is offering incentives,” Ponnapureddy said. Even with cash-strapped state agencies, something as simple as a coveted parking space could make a difference. State offices are currently working out what those incentives will include. One sticking point for some participants is what happens if they carpool to work, but something unexpected happens — like a sick child needing a pickup from school — and they have to go home early, said Kim Marousek, director of planning with the commission. Being able to offer a “guaranteed ride home” is a necessity for any program that is going to work. Some larger industries might even be able and willing to provide that resource for employees once they see how much of a difference it makes in participation, she said. Setze said ride-hailing company Uber has agreed to give users one free ride home as the program gets underway, and the planning commission will continue talking with the organization and looking at other options to make a ride home part of the program. Interest in carpooling has declined nationwide since the 1980s, which effectively means there are more cars on the road. According to the Census Bureau 2009-2013 five-year estimates, almost 82 percent of East Baton Rouge Parish workers get to work on their own, while 10 percent carpool. That reflects a national trend since the oil crisis of the 1970s lifted, people increasingly moved away from the carpools that were a necessity at that time. Between 1980 and 2010, the percentage of Americans who carpool dropped from 19 percent to 9 percent. Gas prices have had an impact, but it’s also about people’s lifestyles, Setze said. In 1980 there were many more families that had one parent going to work while the other stayed home with children. With both parents working, as is more typical now in two-parent families, errands like grocery shopping are piggybacked onto the drive home — making carpooling less attractive to some. The program will underscore that people who carpool can realize cost savings by leaving their vehicle home even a couple days a week. But in addition to personal benefits, it also sells larger regional benefits in terms of air quality. Although the entire state meets current federal regulations for ozone pollution, the U.S. Environmental Protection Agency is expected to release tougher standards in the next two months that could put some areas, including Baton Rouge, out of compliance. Getting more people into fewer cars can only help the ozone-causing pollution in the Baton Rouge area, but only time will tell if people embrace ride-sharing after decades of going it alone. “I really believe it’s going to be your 20-year-olds and 30-year-olds who will make this work,” she said. The long-awaited lower ozone pollution standard announced by the U.S. Environmental Protection Agency Thursday didn’t get as tough as many people feared and will likely mean little change in how things operate in Louisiana. EPA announced that the standard will be lowered to 70 parts per billion, a level that every monitor in the state, except one, currently meets. The only monitor above that level as of Aug. 31 is at LSU at 71 ppb, which means that once again the five-parish area around Baton Rouge will be the only area in the state that doesn’t meet federal standards. For years, the EPA has discussed lowering the standard much lower than the new regulations, pushing it to 60 or 65 parts per billion, a level that would have knocked many areas of the state out of compliance. Not meeting the ozone standard brings with it possibilities of additional requirements on industry, road construction and even additional car emission inspection like Baton Rouge area residents continue to do yearly. Ozone pollution, commonly known as smog, isn’t released directly into the air. Instead, it is formed through a chemical reaction when volatile organic chemicals and nitrogen oxides – released by industry, vehicles, lawnmowers and other sources – during sunny days, primarily in summer. When there is little wind to dissipate the ozone it can accumulate in an area and provoke health concerns for vulnerable populations like children, the elderly or people with lung ailments. EPA estimates the new standard will result in public health benefits of $2.9 to $5.9 billion a year in 2025, while estimating the annual cost of meeting the standard would fall at $1.4 billion a year. Although the standard ended up much lower than many had expected, industry organizations said it still will end up costing too much money. Environmentalists, too, were disappointed by the Obama administration’s decision, saying it didn’t go far enough to protect the health of children with asthma and others affected by ozone. Environmental Defense Fund agreed saying, “While the air quality standard announced today is an improvement, it falls short of what is necessary to safeguard healthier, longer lives for our children and for all Americans at risk,” Vickie Patton, EDF general counsel said in a released statement. Follow Amy Wold on Twitter @awold10. Iberville Parish Sheriff Brett Stassi wants it all to end. There is currently a multi-agency manhunt going on for Benjuiel Johnson, a Plaquemine man convicted of manslaughter with over 35 years left to spend behind bars. Until then, the Sheriff’s Office is working with Plaquemine Police and the US Marshal’s Office. 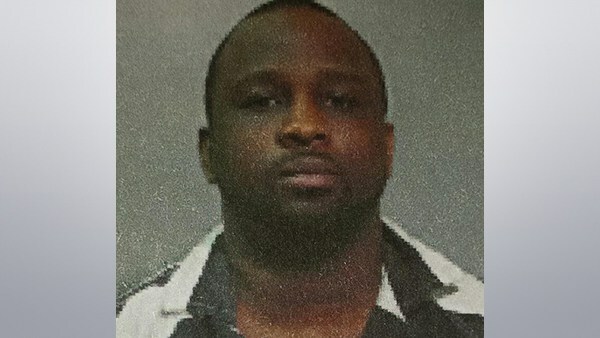 Questions are now emerging as to whether Johnson will face new charges when he is found or turns himself in. Johnson’s mother blames the prison for making the mistake, but prosecutors say Johnson is still breaking the law by walking free. “It’s not like he’s some innocent person who for some inexplicable reason was left out of prison. He knew that he had 35-plus more years to give to people in the state of Louisiana,” said prosecutor Tony Clayton, who assisted in Johnson’s 2013 manslaughter conviction. Clayton said Johnson should now be charged with escape and eluding police. Crime Stoppers is offering a cash reward of up to $5,000 for information that leads to the arrest of Johnson. The Louisiana Department of Public Safety and Corrections — Corrections Services is also offering a separate and independent reward of $1,000. “We are going to continue to search until he’s brought back to where he belongs – prison,” said Sheriff Stassi. PLAQUEMINE — A 22-year-old man accused of robbing and fatally shooting his friend unexpectedly flipped the script during trial proceedings Wednesday, deciding to plead guilty to the crime just moments before lawyers were about to seat the final members of the jury. Moments later, a state district court judge sentenced Detrell Scott to life in prison for the slaying. He pleaded guilty to second-degree murder, as charged. Assistant District Attorney Tony Clayton said Scott wasn’t trying to do the family of victim Kye Boudreaux any favors by forgoing his right to a trial. He said Scott, 24725 Damon St., Plaquemine, wanted to avoid a trial because of the evidence prosecutors had mounting against him. Boudreaux’s parents found their son’s body at the family’s camp near Grand River in May 2014 after their son’s boat was spotted about 5:30 a.m. drifting in the waters of the Intracoastal Waterway. Boudreaux, 26, also of Plaquemine, had been shot in the head with his own gun. In addition to Boudreaux’s gun, Scott stole the victim’s wallet, car keys, cellphone and some drugs Boudreaux was carrying, according to police reports. The Sheriff’s Office has not identified the type and amount of drugs or said how much money was stolen. Authorities said Boudreaux had allowed Scott to tag along on a fishing trip that day. Iberville Parish sheriff’s deputies arrested a second man, Darrell Georgetown, in the murder. Georgetown, 58175 Plaquemine St., was booked on counts of accessory after the fact and obstruction of justice for helping Scott flee the scene after Scott burned Boudreaux’s truck and trailer in a cane field off La. 1 behind the Relax Inn motel. Clayton said Georgetown was set to testify against Scott had the matter gone to trial. The victim’s father, Darrel Boudreaux, was visibly shaken moments after Scott entered a guilty plea Wednesday. However, the victim’s mother, Jane Boudreaux, expressed some disappointment. She told reporters that she wanted Scott’s trial to play out in hopes it would end a racial war that had sprouted up on social media since her son’s murder. Jane Boudreaux said black people had commented online that white folks would use the case to send another black man to jail. Scott is a black man and Boudreaux was white. In an impact statement she read in court Wednesday, Jane Boudreaux characterized Scott as a devil after seeing text messages where the man bragged to friends about murdering her son.